Turtle Talk - A new member gets some good advice and then follows it to set up a very nice habitat for their new turtle. Turtle Talk - A member posts a warning about a potential fire hazard with the included heat lamp and fixture in the Zoo Med Aquatic Turtle Habitat Kit. Geckos Unlimited - A member photographs some Goniurosaurus hainanensis in their natural habitat in Hainan. 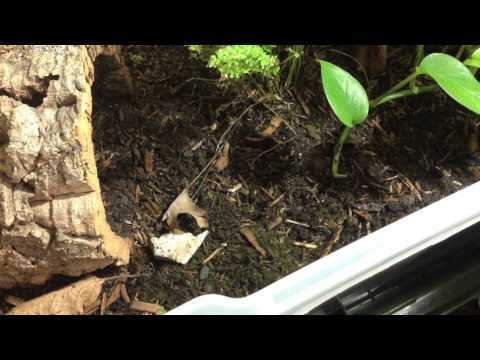 YouTube - Anthony, of theTurtleRoom.com, shares the recent construction of a small terrestrial habitat.